It’s a simple yet apparently life changing combo for fruits, herbs or veggies topped with mineral water. Brilio.net - As simple as it seems, the detox water is very easy to make at home, so here are a few recipes and their benefits to our health. The most common recipe and yet the most efficient: 3 glasses per day during a month could help eliminate part of the superficial fat by enhancing digestion. 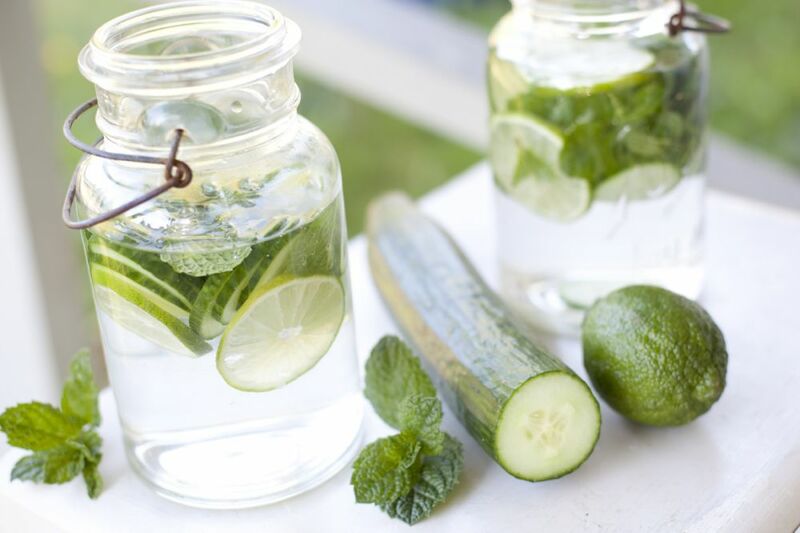 For one and a half litre of detox water, you will need 4 limes (cut into tiny slices), half a cucumber (also cut into tiny slices) and 20/30 mint leaves. 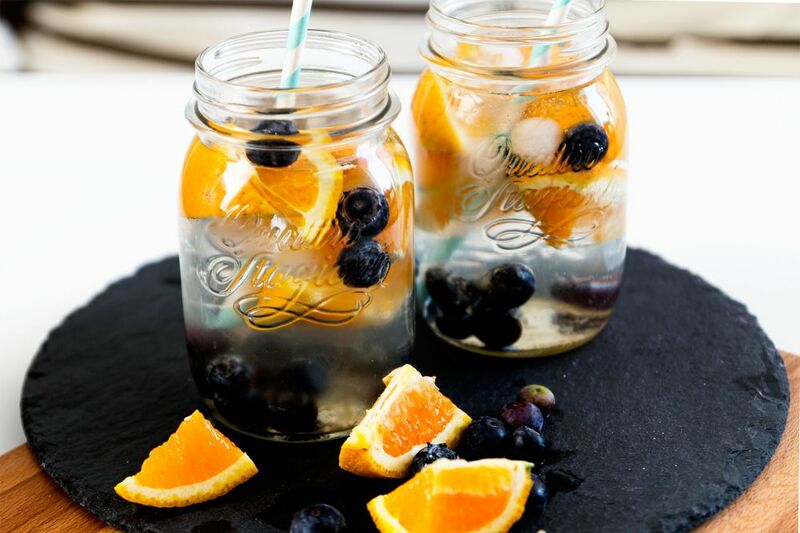 About 60 grams of blueberries and 2 oranges soaked in water will actively remove all toxins from your body and reinforce your immune system. Ideal to start the day and easily get your fill of vitamins! 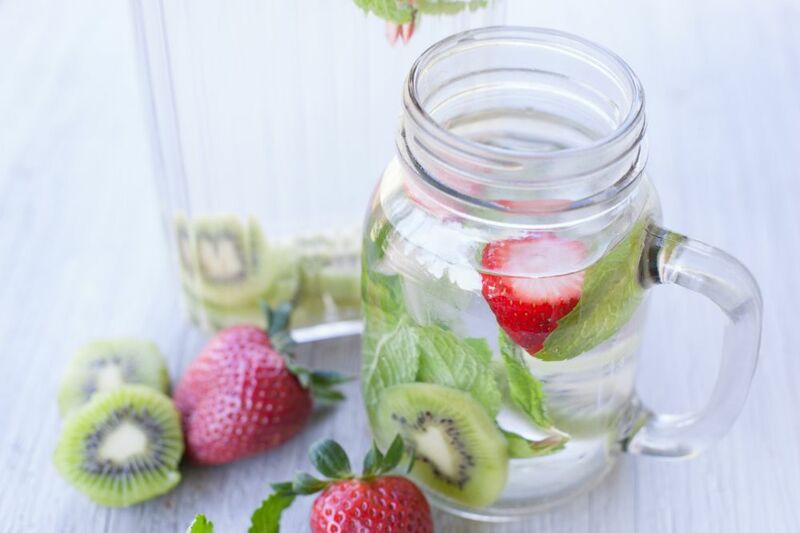 Cut a dozen strawberries and 2 kiwis into the water. You can also add a trickle of lemon juice to get the full set of vitamins! 10 strawberries cut into small pieces, 1 lemon cut into slices and a few fresh basilica leaves is all you need to get your body a kick in case you feel you’re going limp. 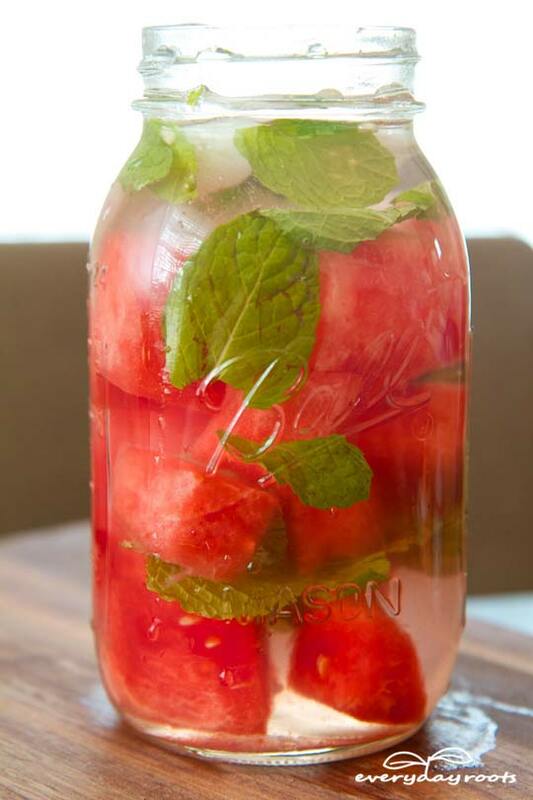 2 slices of Watermelon and 10 mint leaves infused in the water are the perfect combo to increase blood circulation and thus burn superficial fat. 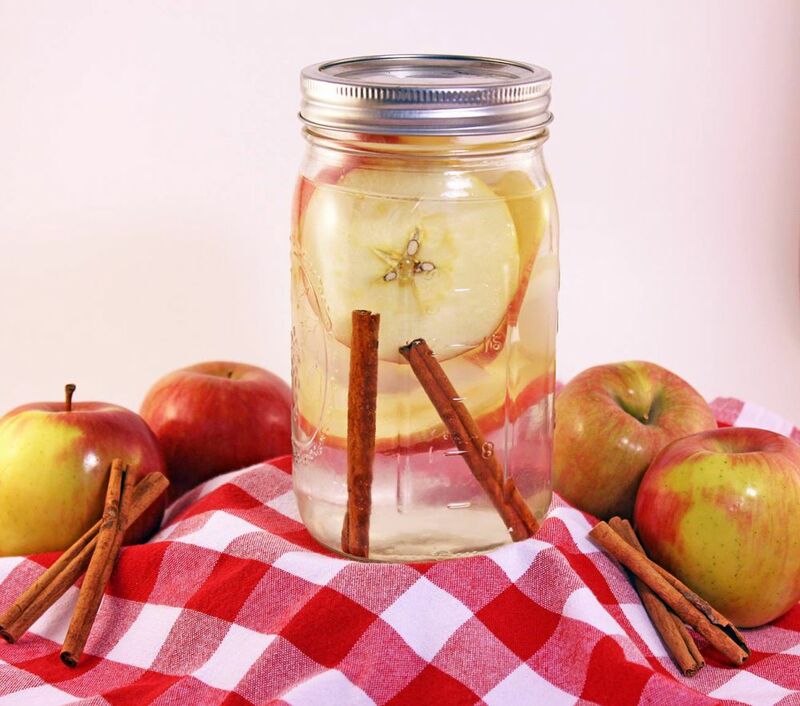 Best if you drink it during a meal, the mix of an apple cut into small slices and a stick of cinnamon is the perfect ally to help you remove the fat located in the stomach area. 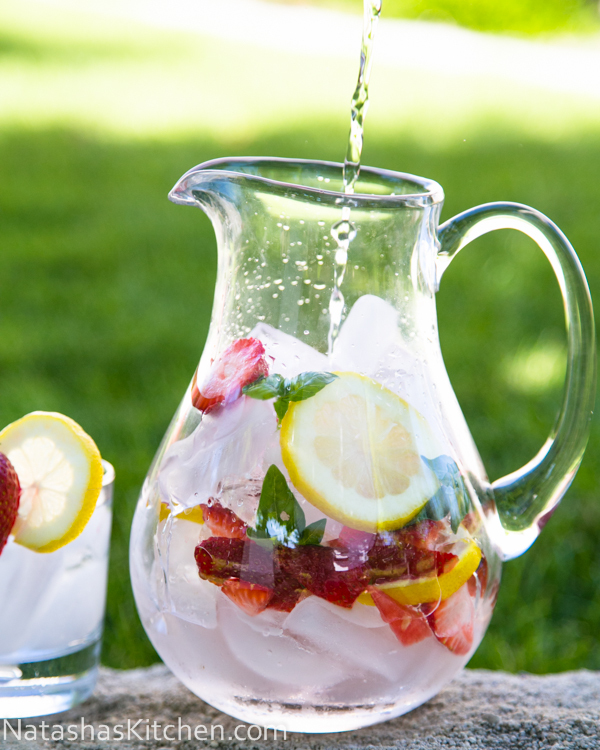 All detox water need to infuse (ideally in the fridge) for at least an hour. Watch out to carefully wash the ingredients to remove all the toxic products and dirt they can have on their skin.